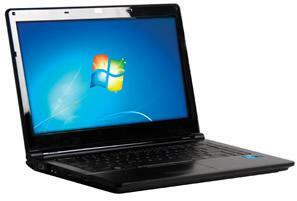 Recently i purchase a Lenovo G475 laptop that costs Php 21,000. But before that I make a research for a laptop that costs 15k - 20k php and I saw this NEO laptop brand that sells cheap but good sepcs of laptop. At first I already decided to buy this intel core i3 laptop that costs only Php 19,990 at PC Express. I was like WOW with the price because other brands with core i3 laptops costs like 27,000 - 30,000 PHP. Now I ask my self if is it really good to buy this brand of laptop because its too cheap for an i3 to sell at that price? I make a search on google about neo laptop and surprisingly there's a bunch of complainant saying that their service is not so good, their laptop is easily damaged. After reading the complains, my mind got confused. Many questions pop in my mind. What if the laptop is damaged? Will I get an quick service from them? If I buy this laptop, will I regret it? So I decided to change my mind and choose the Lenovo brand laptop before I regret that I buy it. So if you have any comments and reactions about this brand, just leave the message below.